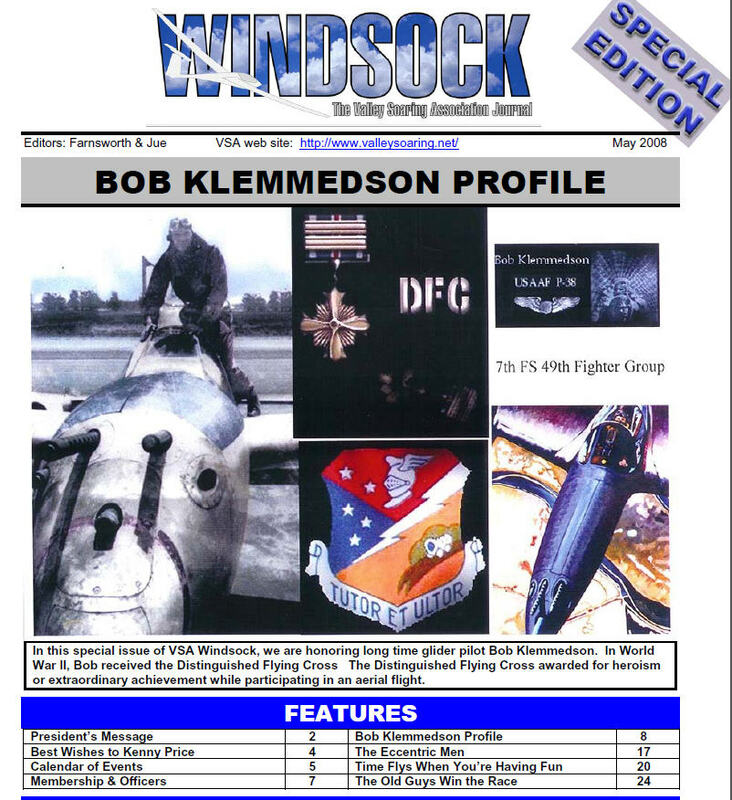 The May 2008 Windsock is published in two parts. The PDF file sizes tended to be large in those days, and internet was challenged by the transfer of large files. Shown below is the first page of the newsletter, click on the image it to read the first 13 pages, but then be sure to come back to this page so you can continue to the second half of this grand publication. This edition is 25 pages long. See the second half here pages 14 through 25 .